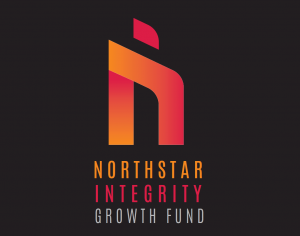 DENVER, April 16, 2019 /PRNewswire/ — Today, Northstar Commercial Partners announced the launch of their $125 million Northstar Integrity Growth Fund (the “Fund”), in partnership with Integrity Trust of Colorado Springs, CO. The Fund is a REIT under a 506(c) designation, which is an evergreen fund focusing on 75% value-add, and 25% cash-flowing commercial real estate investments in primarily Western growth markets, including but not limited to Colorado, Utah, Texas, Arizona, New Mexico, and California. The launch of the Fund will target commercial real estate assets with at least a 30% discount to replacement cost and hopes to reasonably project an investor level IRR of 14%-18%. Due to growing market uncertainties in the coming months, Northstar and Integrity Trust hope the Fund will help mitigate risks by providing investors with access to a diversified real estate asset portfolio which will have a low correlation to the public markets. Northstar Commercial Partners specializes in buying vacant, distressed, value-add, and income generating commercial real estate assets throughout the United States, in order to help stabilize properties, and create jobs and opportunities for thousands of people. Since Brian Watson founded the company in 2000, Northstar has closed more than 139 deals, and currently has 47 retail, office, industrial/warehouse, medical, senior care, data centers, and day care facilities in 15 states under its investment, development, and management. The portfolio exceeds over $1.35 billion of market value. Learn more about Northstar Commercial Partners at: www.northstarcommercialpartners.com.